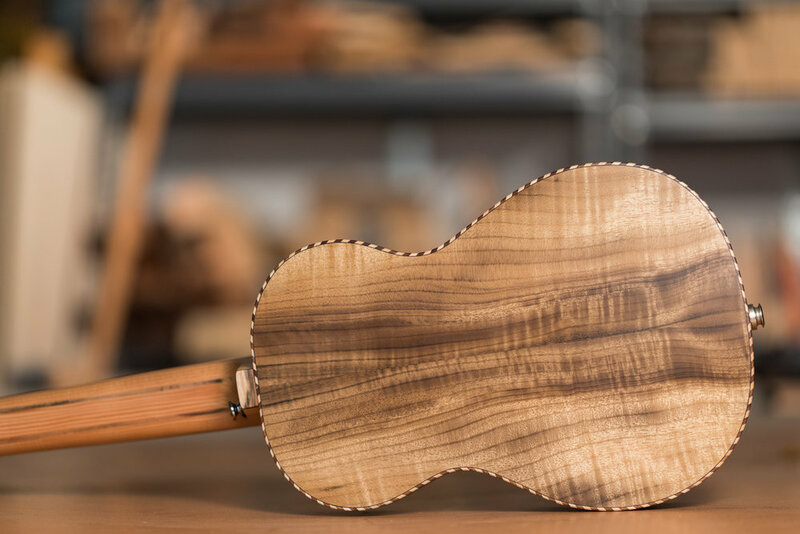 Myrtle is our "Oregon Koa" and tenor seems to be the standard size nowadays. 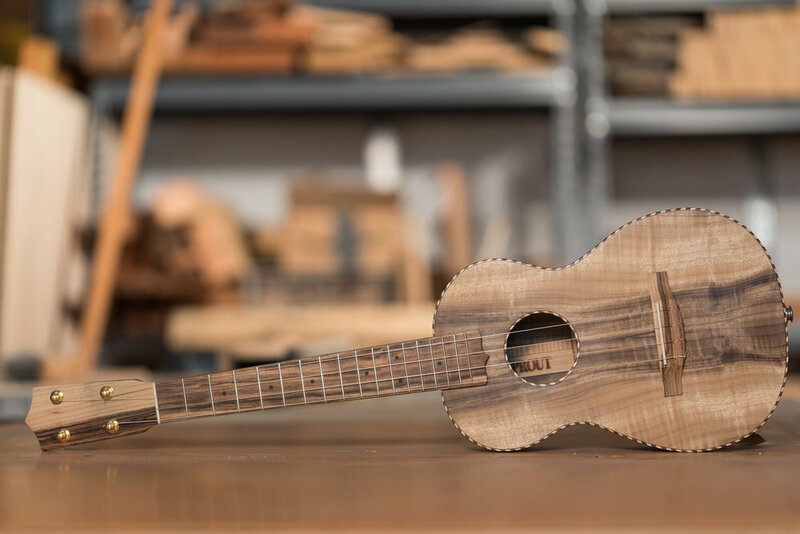 So, consider this our flagship model. 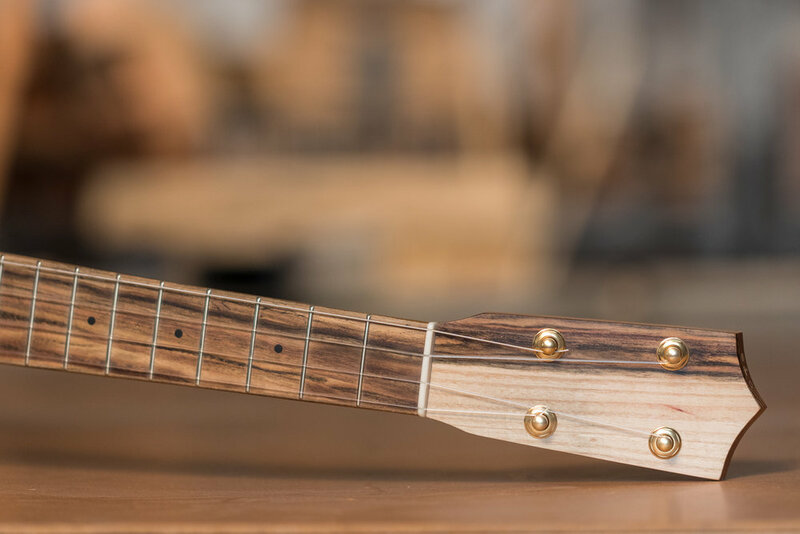 The rope binding sets it apart from the crowd and the salvaged Douglas fir neck and pistachio fretboard from California orchards shows your concern for sustainability. 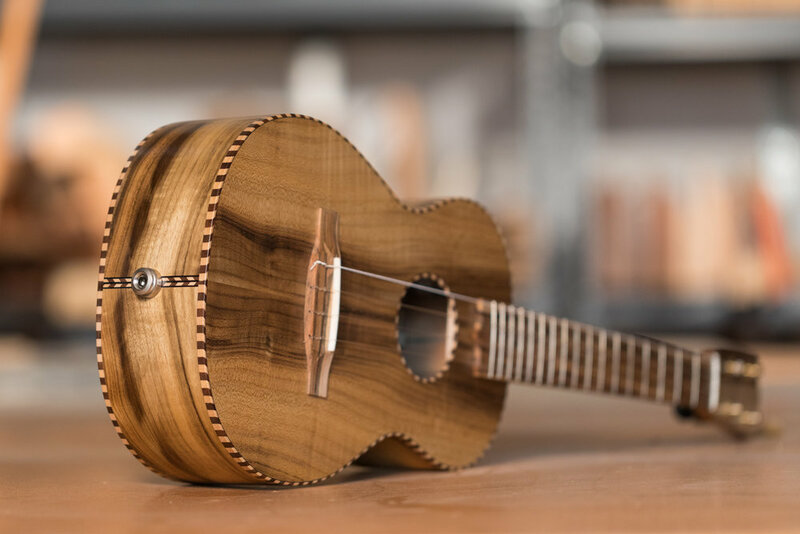 Is this the Prius of the ukulele world?